Charley Brentnall (Carpenter Oak and Woodland) is a recognised leader in the UK’s oak framing industry. 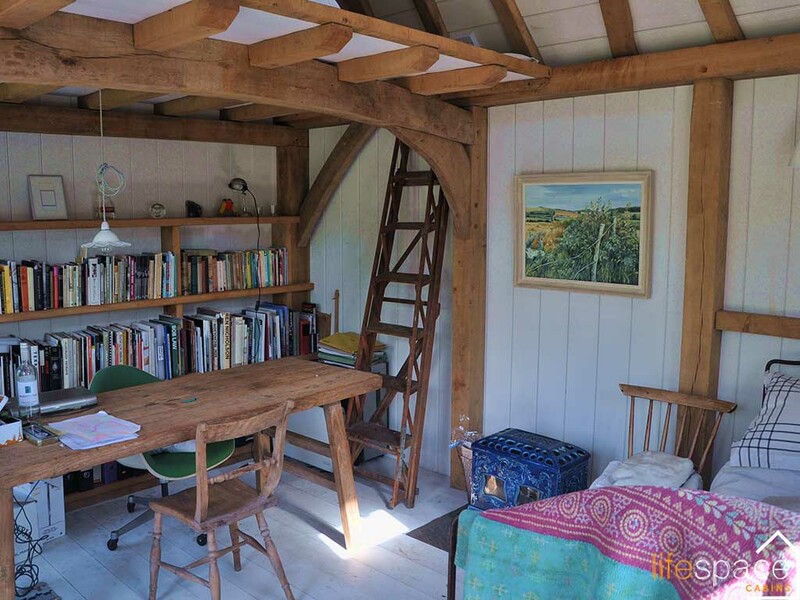 Charley has led on some of the most important oak frame conservation projects in the UK and internationally including the restoration of the ceiling at Windsor Castle and the restoration of Shackleton and Scott’s huts in Antartica in 2006. 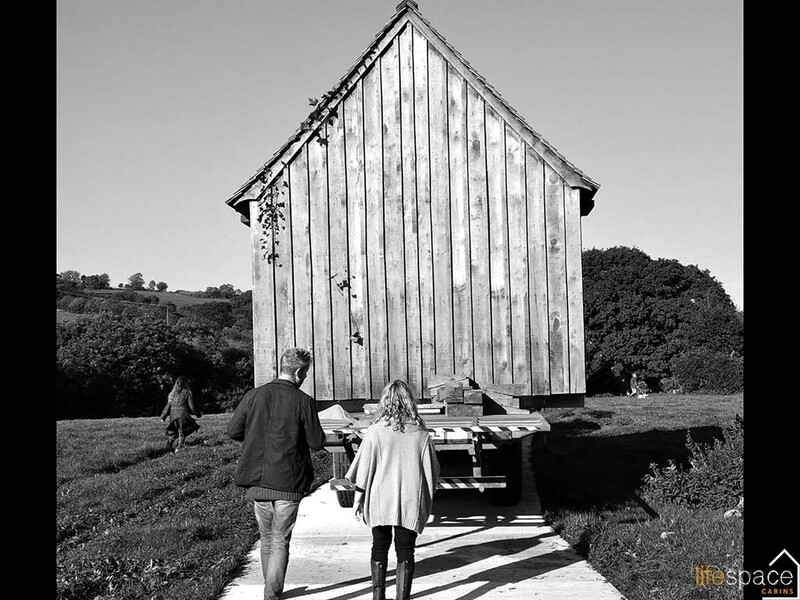 In the same year Charley built a cabin for Jo Willer and Chris Stephens at Slaughterford. Now, ten years later, Jo and Chris wanted to move house. They loved the cabin so much they decided to take it with them. 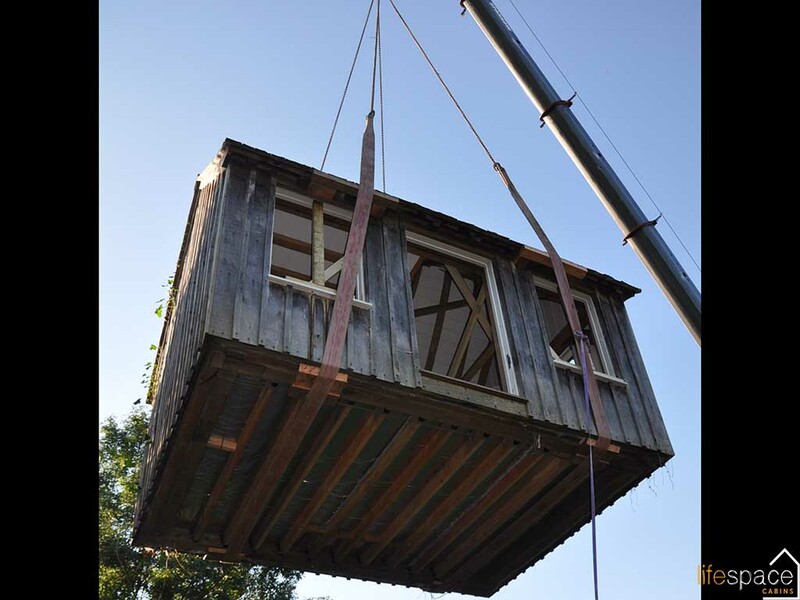 When they built the cabin they carried each piece by hand into the garden and assembled it in-situ over two and half weeks. 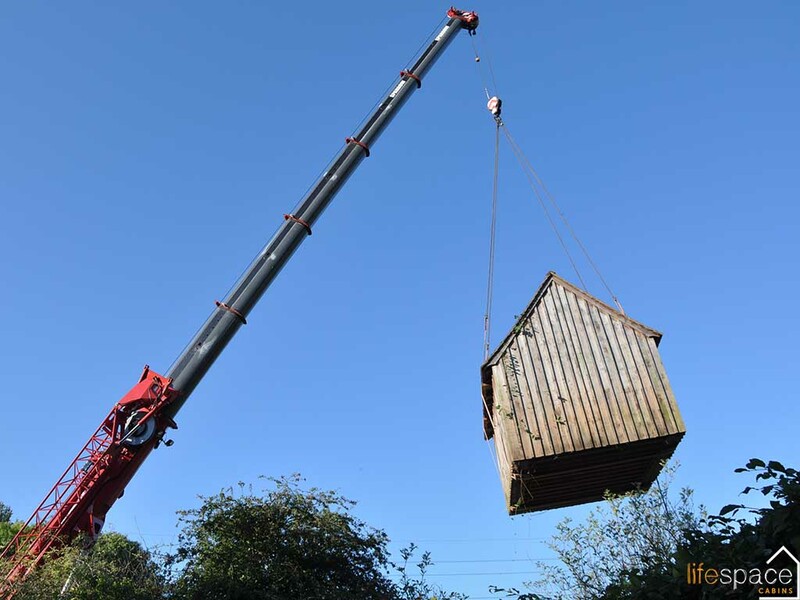 To move it out again we craned its 4.5 tonnes over the hedge; out through the fields to its new home – all in about five hours with Davy Luscombe acting as master of ceremonies!